Happy National Poetry Day! 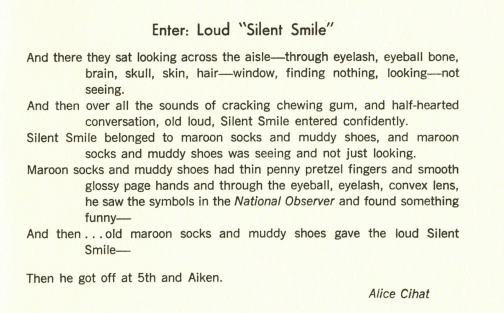 We’re celebrating by featuring this poem by alumna Alice Cihat about two strangers on a Pittsburgh bus. It was published way back in the Winter 1967 issue of the Minor Bird.